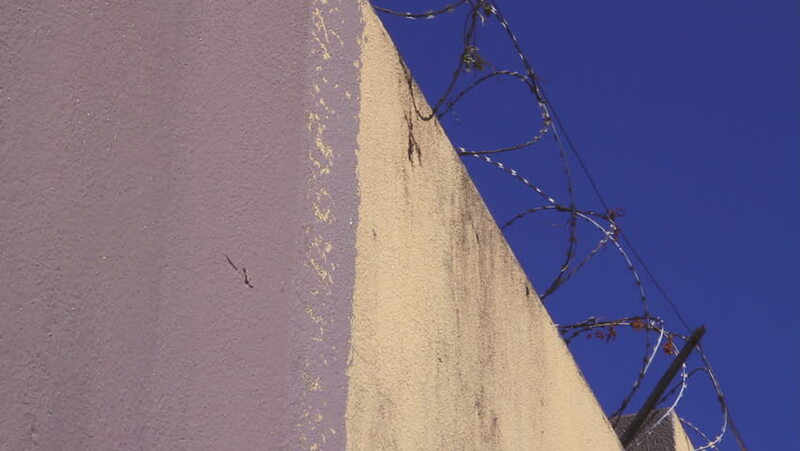 Close-up of a roller paint brush painting the top of a wall right under a razor wire security fence. These security fences are typical of Johannesburg apartment complexes. hd00:10Row of Red Slave Huts. Shot on Bonaire, Netherlands Antilles. hd00:08MONACO - JULY 7: A sailing cruise ship in the Mediterranean Sea, Europe.